Welcome back to Trailer Happy Hour, where we round up the day’s movie, TV, and gaming trailers into one convenient tasting menu of quick video clips. 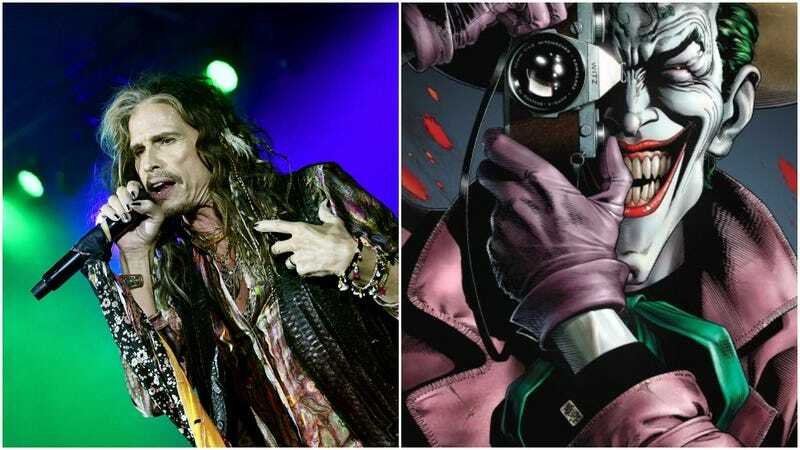 Today, we’ve got a Steven Tyler rock doc, an unconventional Arrested Development reunion, and two very different takes on Batman’s nemesis The Joker. Next, we’ve got Steven Tyler: Out On A Limb, an effusively glowing documentary chronicling the Aerosmith frontman’s recent efforts to make a solo country album. If you’ve ever wanted to watch a dozen talking heads all try to find different ways to say “Steven Tyler is really cool!”, keep an ear and eye out for its VOD debut on May 15. Less optimistic: The date announcement trailer for Netflix’s new post-apocalyptic teen drama The Rain (out May 4). All due credit to the teaser: It makes the show look a lot less goofy than that “Stay dry, stay alive” tagline might suggest. Finally, we’ve actually got two trailers for the same project—each presenting a very different take on one of its most iconic characters—in the form of a pair of Joker-themed vignettes for the final episode of the second season of Telltale Games’ Batman series, The Enemy Within. Playing on the studio’s reputation for big, plot-diverging choices, one video shows how players’ decisions can turn “John Doe” into Batman’s buddy, a laughing, maniacal (and still pretty murderous) vigilante, while the other sees him transformed into the more classic cackling villain that we all know and love. The final episode of Batman: The Enemy Within arrives on March 27.